The Timeline of the Japanese Light Cruiser Yahagi. 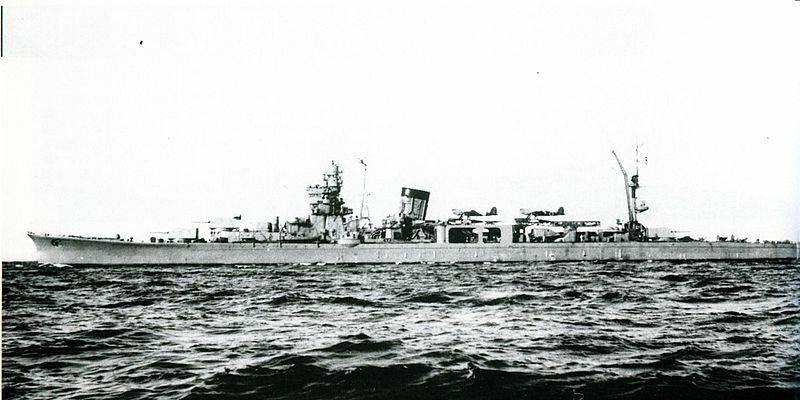 The Japanese Cruiser Yahagi on December 1943, after its completion. The light cruiser Yahagi was one of the four Agano-class cruisers built during the second world war by the Imperial Japanese Navy. The four cruisers were named: Agano, Noshiro, Yahagi, Sakawa. The Yahagi cruiser was completed on 29 December 1943.Therefore, the cruiser Yahagi joined the Pacific war quite late, only one year and half before it concluded. However, the cruiser Yahagi was quite active since it participated in most of the latest battle of the war, namely the Battle of the Philippine Sea, the Battle of Leyte Gulf, the Battle of the Sibuyan Sea, and the Battle off Samar. More importantly, she also joined the last voyage of the Yamato battleship, the “Operation Ten-Go”, to attack the American invasion force off Okinawa. The battle was the end of the Yahagi and also the reason of famous history. She suffered a high number of torpedo and bomb hits, sharing the same fate of the brave battleship Yamato. Here, I show a detailed timeline of the cruiser Yahagi. I hope this more visual and structured way of present information helps the reader to learn the decisive moments of the warships.